AULD LANG SYNE has been described as a comedy, a thriller, a mystery. It is all of these. As the title would suggest, the play takes place on New Year's Eve, when Mary, a retired school teacher, sits alone in her South Boston living room, waiting for the doorbell to ring. When it does, the man on the other side of the door appears to be a stranger to her, as she appears to be a stranger to him. In the next fifteen minutes, we will understand why Mary has orchestrated this encounter, and what she expects of her guest, whose name is Joe, and who is known as a gangster in Mary's neighborhood. AULD LANG SYNE was originally produced by the Peterborough Players, and featured Emmy winner (NYPD BLUE) Gordon Clapp as Joe, and Kathy Manfre as Mary. The play garnered five New Hampshire Theatre Awards, including Best Actor, Best Actress, Best Director, Best Playwright, and Best Professional Production. It has subsequently been produced by New Century Theatre and Gloucester Stage. 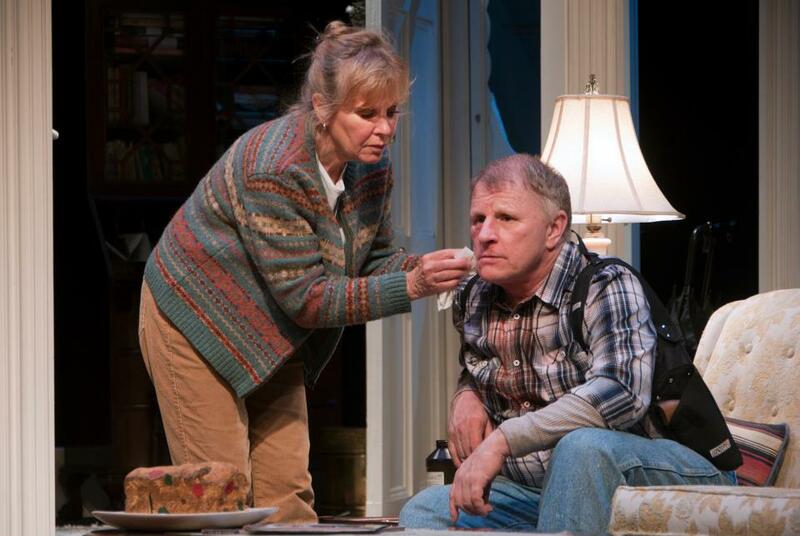 Photo: Kathy Manfre and Gordon Clapp in the Peterborough Players production, directed and designed by Gus Kaikkonen.